That’s great! Man, the digital age sure is delivering! VIZ Media generates additional synergy between its English language Weekly Shonen Jump digital manga magazine and the original Japanese print counterpart with the launch of the new “Jump Start” initiative. 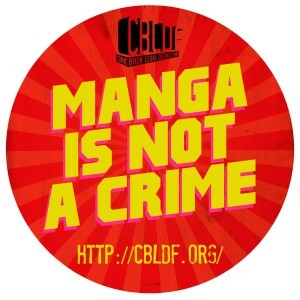 Moving forward, VIZ Media will simultaneously premiere the first three chapters (one chapter per week) of every brand new, first-run manga series that appears in the Japanese Weekly Shonen Jump in its digital English language edition on the same day of that issue’s general print release in Japan. 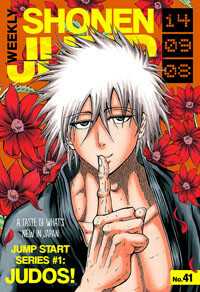 The first “Jump Start” title to be featured is the high impact martial arts series – Judos – by Shinsuke Kondo, which launches September 8, 2014 in the latest issue of Weekly Shonen Jump. Hana Yanagi is just fifteen and aims to be the best judo practitioner in his village – a remote hamlet that just happens to produce the world’s most powerful fighters.